Utilizing powerful 256-bit AES hardware encryption, the EDGE™ diskGO® Secure Pro meets the government standard for data encryption. The diskGO Secure Pro is also fast—featuring impressive read/write speeds. The device is also fully PC and Mac compatible. The capless, sliding USB design protects the USB connector when not in use—no more lost caps. Complex passwords are required for use, adding an additional layer of security. 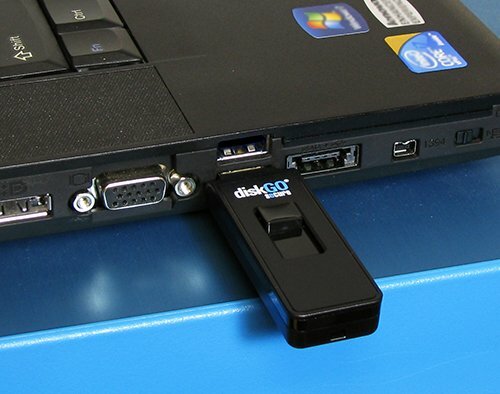 The diskGO Secure Pro is simple to use with a user friendly interface that is clean and self explanatory. Simply plug the drive in, create a password, and the drive is ready to use for securing data. Encrypting data with the diskGO Secure Pro is mandatory—the only option for storing files is in its encrypted section. An optional contact information feature allows for storage of information such as phone number and email address, in the event the device is misplaced. Brute force and other malicious password guessing attacks are thwarted by the diskGO Secure Pro's lock down function—encrypted data is completely erased after eight failed password attempts. 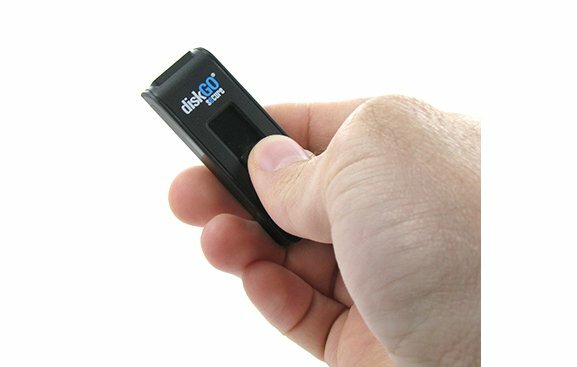 The diskGO Secure Pro is essential for corporate and everyday consumers alike in need of an enterprise grade encryption solution for safe guarding confidential data. Uses government standard 256-bit AES hardware encryption. 100% mandatory data encryption ensures safe and secure files. Complex passwords required for added security. Does not require admin rights to operate. 2.30" x 0.85" x 0.40"